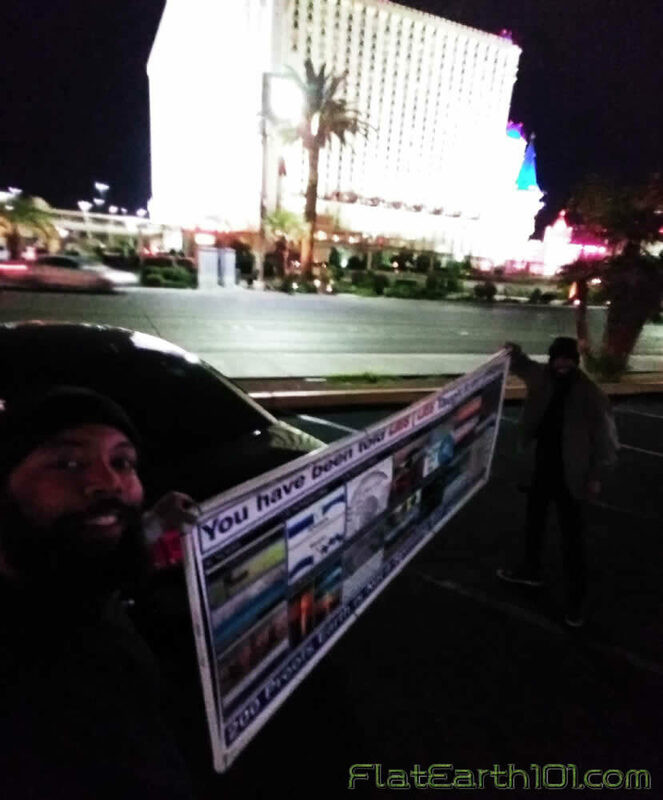 I live in Las Vegas, NV. I love doing Flat Earth Activism! 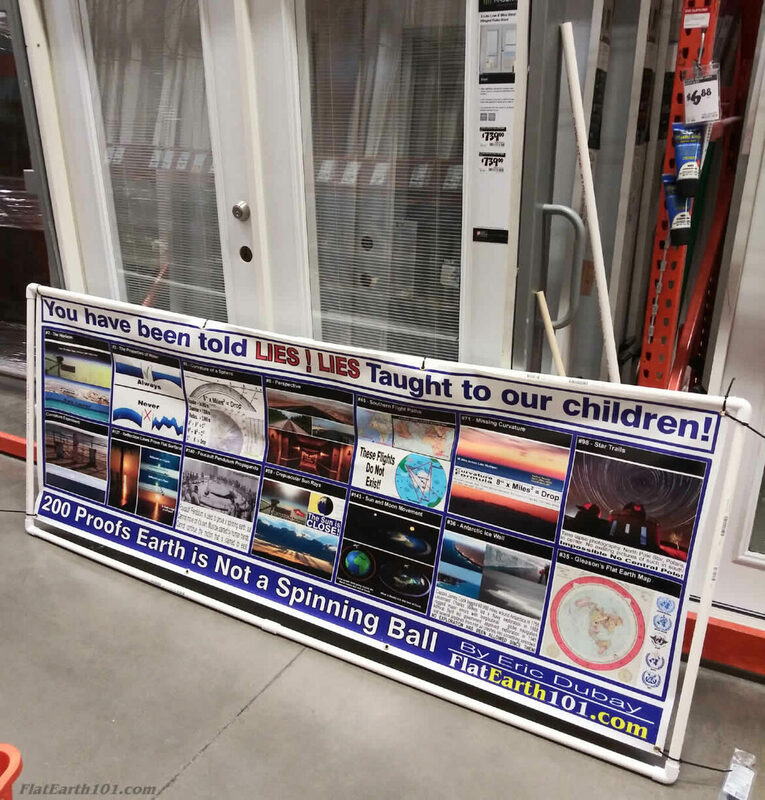 Banner being prepped at the Home Depot for Las Vegas Strip Flat Earth Activism! 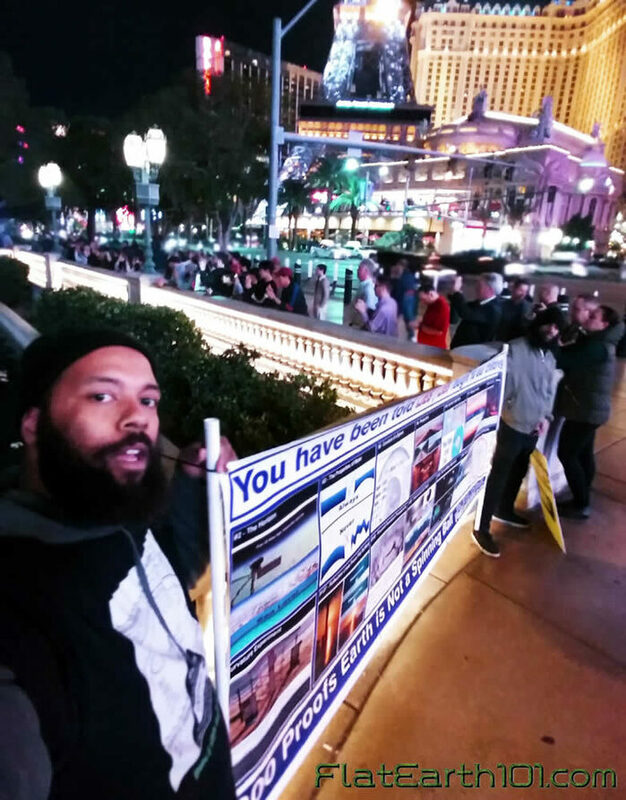 Click here for detailed view of banner. January 29, 2019 at T-Mobil Arena/Bellagio right in front of the fountain show!